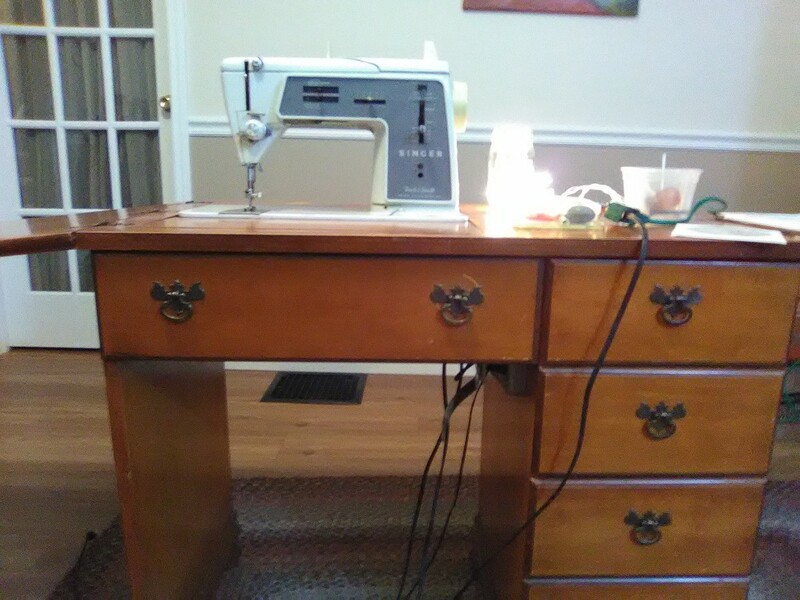 A few weeks ago I found and old desk at a thrift store, thinking it would be good for crafts. 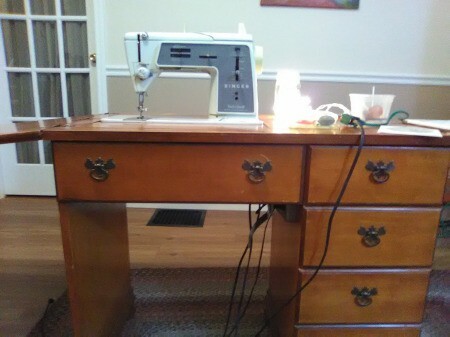 Well, yes, and there was a surprise sewing machine inside! The motor works and the bobbin area doesn't seem to be clogged up with debris, but the hand wheel is jammed and it smells a little musty. It looks like a very old model and I'm not sure how to fix it. Does anyone have a model 625 and a little insight? If you intend to use your machine it will probably need a thorough cleaning. I would suggest checking Google for Singer repair shops in your zip code to see if there is one within driving distance. Some answers can be obtained over the telephone; such as; what price does your cleaning jobs start? This would give you something to think about. If you decide to take it to a repair shop, you can remove the machine from the cabinet for easier transport. 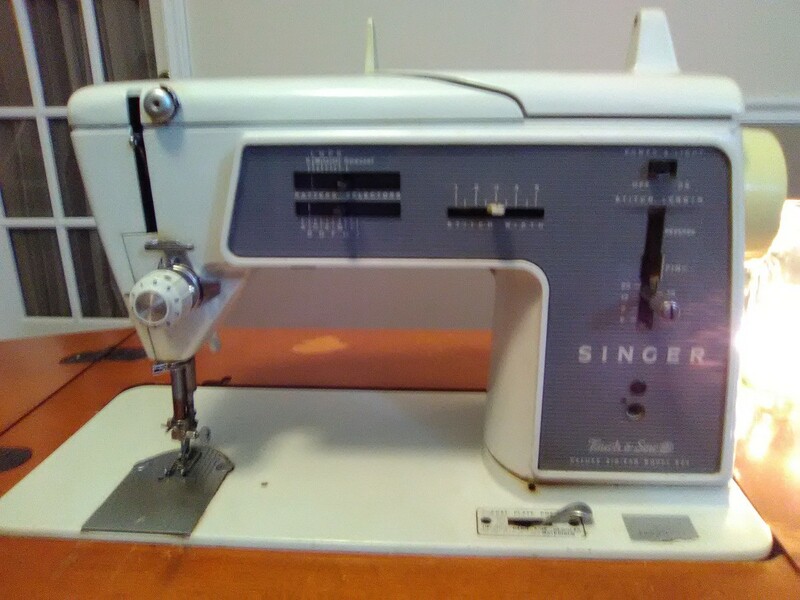 Singer.com will also provide you with a list of repair shops in your area. They may also provide you links to check for doing your own repairs but I doubt they will tell you how to fix or repair your machine. Wow!! Lucky you!!! What a fun find!!! I am envious!! I love serendipity like that!! There are a lot of good (and some not so good) videos on YouTube for just about every aspect of this machine. Just put the name and model into their search bar and you will have hours of watching! I hope you can restore it and get it back to working!! For the musty smell...try setting it on the porch for a few days (if it is not rainy) and letting some indirect sun get to it! Sun is the best "cure" for musty smells!! Blow the stink off it is the phrase some use! Thanks for sharing your fun find!